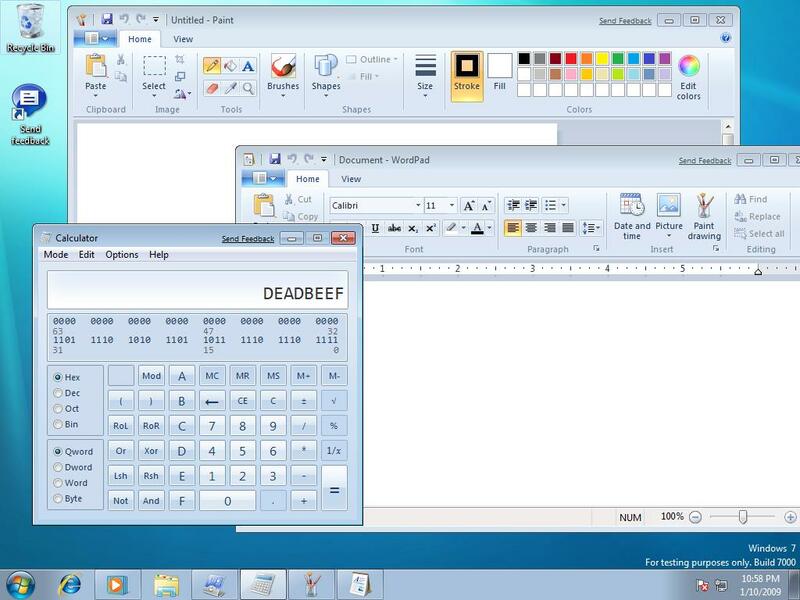 The Windows 7 Beta is out, and I finally managed to get my hands on a copy. I installed it (unactivated) in a virtual machine, but plan to install it on my physical machine as well, in order to use all of its features. I will update my blog once I do that. As you probably know by now, the beta was supposed to be released yesterday. However, Microsoft's servers couldn't handle the heavy demands, and the official download link did not appear until about noon today. I tried downloading via a direct link, and got a 300-400MB dud every single time. Now, you can download your copy at http://www.microsoft.com/windows/windows-7/, but note that Microsoft is only allowing 2.5 million downloads before they pull the plug. The installation in the virtual machine (Microsoft Virtual PC) was straightforward, with no major issues. It ran a bit slow on the first boot (100% CPU usage inside the VM), but I no longer experienced this problem on subsequent boots. 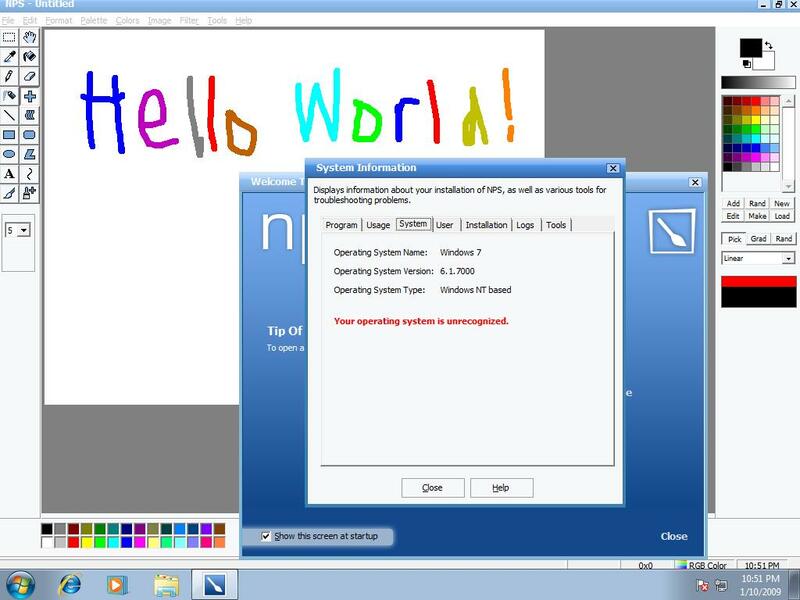 My first impressions of Windows 7 (within the limited scope of running it in a virtual machine) are fairly good. It has a certain element of "newness" to it, but also has the familiarity of Vista. 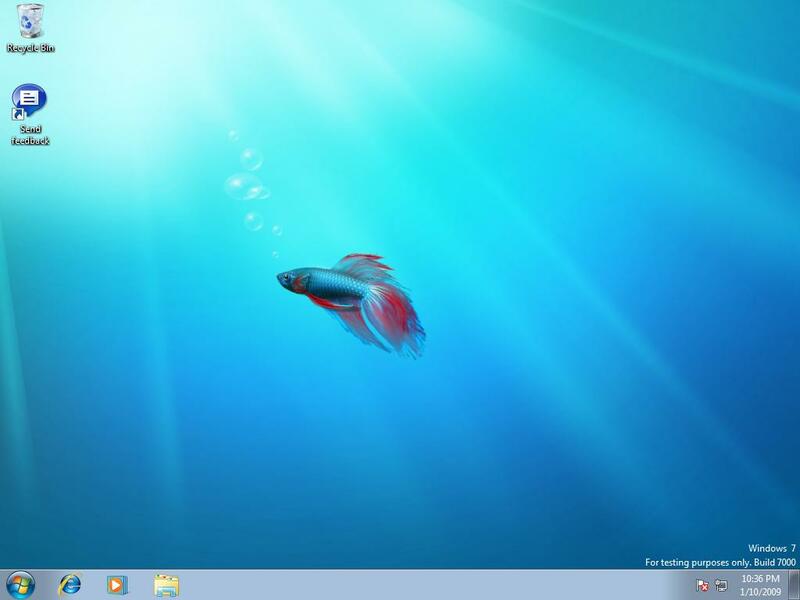 I like the new Windows 7 taskbar a lot, though I have a few gripes with it. I love the the ability to move taskbar buttons around (a feature I've wanted ever since I used Windows 95) – but I detest the grouping of similar windows. (I always disabled this feature in XP/Vista). I can turn off this grouping, but this also gives each button a label, making it bigger. A better implementation of this, in my opinion, would be to have separate options for grouping and labels. I'm happy to say that NPS installed without a hitch, and runs perfectly. (After all, Windows 7 was meant to be almost fully compatible with programs that worked on Windows Vista). The only issue you will notice is that System Information in NPS claims that you are using an unrecognized operating system (although it also displays the correct version); this issue will be fixed in the next build of NPS. 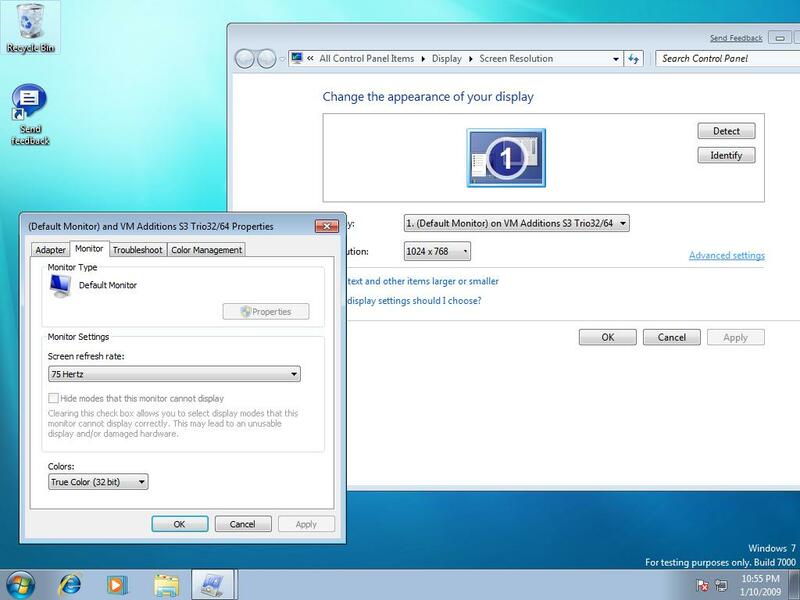 Here are some screenshots of Windows 7 Beta running in a virtual machine. Click on each thumbnail to see the full-size image.